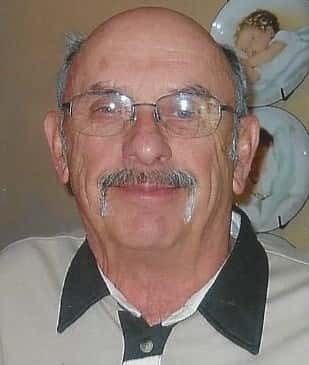 Richard W. “Dickie” Garrett, 72, of Evansville, formerly of Mill Shoals, died at 3:00am on Sunday, November 4, 2018 at Deaconess Gateway Hospital in Newburgh, IN. He had served as the Mayor and Village President of Mill Shoals for many years. Dickie was a mason and had been a member and past master of the May Lodge No. 718 in Norris City, IL. He was also a member of the Ainad Shriners in St. Louis, MO and a past member of the Hadi Shriners and the hospital staff. Dickie retired from the IL Department of Transportation in 2001 and, to stay busy, he enjoyed working part-time at Kim’s Consigned Designs and at Ellis Park as a mutual clerk. He loved gardening and being able to give away most of his vegetables to friends and neighbors. Along with gardening, he also loved to travel, especially to the beach. Dickie was born on September 8, 1946, in White County, to Wayne and Marcella (Parks) Garrett. He was married to Cheryl Schminke. Survivors include his wife Cheryl of Evansville, IN, one step-son Brad Schminke of White Lake, Michigan, one step-daughter Jessica (Nick) Schmitt of Wadesville, Indiana, two step-grandchildren Brylie and Joshua, and several cousins. He was preceded in death by his parents.